PRO900 Series is perfectly suited for institutional catering, factories or corporate staff restaurants. The range particularly stands out for its larger capacity boiling and bratt pans, and incorporated 180mm deep front plating shelves. Building on the traditional and trusted design features of the PRO800 series, the Charvet PRO900 series maintains the modular widths of the PRO800 series but offers increased production capacity with only a 100mm increase in depth, therefore not increasing a suite’s overall width. 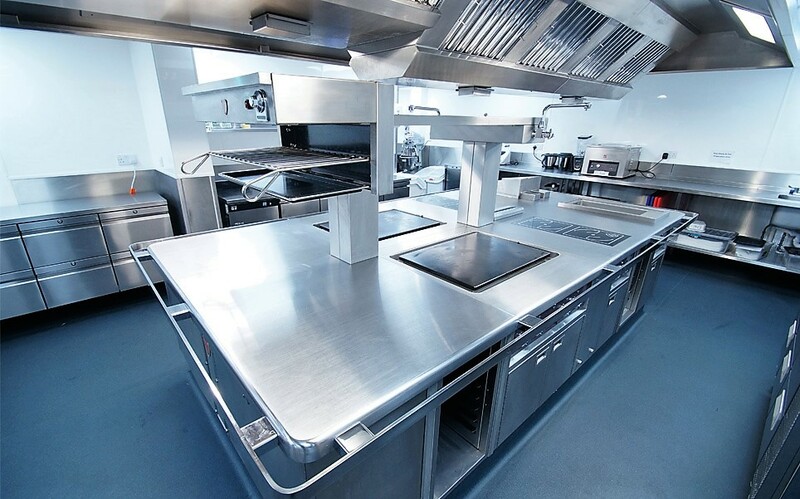 Robustly built for bulk cooking, the PRO900 Series allows you to modify widths and heights of neutral units providing complete design flexibility. “Whilst other ranges have come and gone, the Charvet range I’ve had for over 16 years has remained and survived two complete kitchen relocations and refurbishments, and as a result we now have Charvet installed at all three of our restaurants!”. Providing the opportunity to floor, plinth and cantilever mount modules, PRO900 Series suites can be configured in endless ways, creating a complete range of solutions to ensure greater productivity in your kitchen. PRO900 is packed with power and comes with a range of options, including gas, electric and induction. To find out more about the PRO900 Series, please click here to download a brochure, or email us at sales@charvet.co.uk.